Did you adopt a Ragdoll or other cat from the UKRCC? 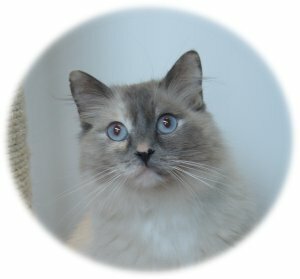 Although the UKRCC is no longer in the position to find homes for any new Ragdoll cats, the charity remains completely commited to all the 500+ Ragdolls and other cats it has rehomed to new families over the past six years. If you rehomed a cat via the UKRCC adoption scheme and wish to contact us for support or can no longer keep your cat, please contact us by email. We shall endeavour to do all we can to help you. If you have a UKRCC cat and just wish to let us know how they are doing, we would love to hear from you too. Is the Ragdoll Cat the right breed for you and your family? If you have been researching Ragdolls, you are likely to have visted many websites and read much about the history of the breed and the typical Ragdoll temperament. If you read nothing else today, please take the time to visit the following link and read what it is really like living with a Ragdoll cat. Seasoned Ragdoll owners share their experiences, in an honest, humerous way and it really is the very best insight into being owned by a Ragdoll, that you will find, anywhere else on the internet. What we wish we had known before becoming Raggie owners! 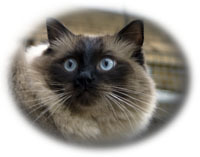 For general information about the Ragdoll breed, please click here.